Launched in the fall of 2016, 826NYC operates a full-time Writers’ Room at PS/MS 7 in East Harlem. Classes of sixth, seventh, and eighth graders come to the Writers’ Room to receive individualized help and attention on writing projects. Volunteers work with groups of students visiting the Writers’ Room with their class to work on a specific writing assignment, or one-on-one with a student needing extra writing help during their free periods and lunch hours. Writers’ Room programming takes place from 8:00 AM-2:20 PM, Tuesday through Friday. Help build their stories and yours. 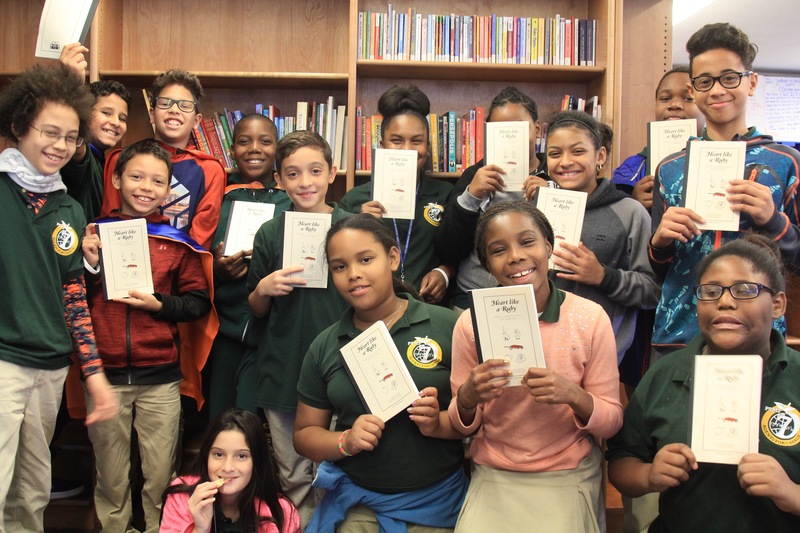 Learn how you can support the next generation of NYC writers by volunteering with 826NYC. Attend an upcoming volunteer orientation to get started right away. Sign up today to learn more! Thank you! We will be in touch shortly with upcoming orientation dates you can attend.